Some photographers don’t know what these are, but experienced landscape photographers wouldn’t go out without at least one graduated neutral density filter in their bag. A common problem in landscape photography is that the sky is usually two to four stops brighter than the ground below. That leaves you with a quandary... should you expose for a correct exposure in the sky (and have the ground appear too dark), or expose for the ground (and end up with a blown-out bright sky)? 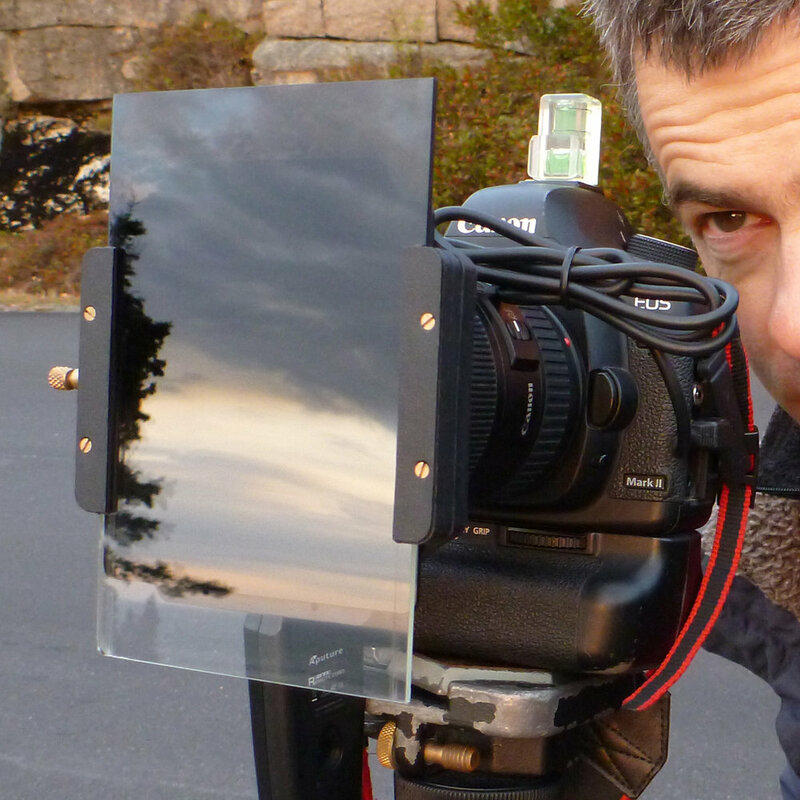 This is when you need a graduated (or split) neutral density filter. These rectangular filters are made of optical-grade resin and are held in front of the lens with a filter holder, usually a piece of plastic that attaches to the front of your lens and grips the sides of the filter. The top half of the filter is coated with a dye that darkens that part of the image. Expose for the sky, or the ground? 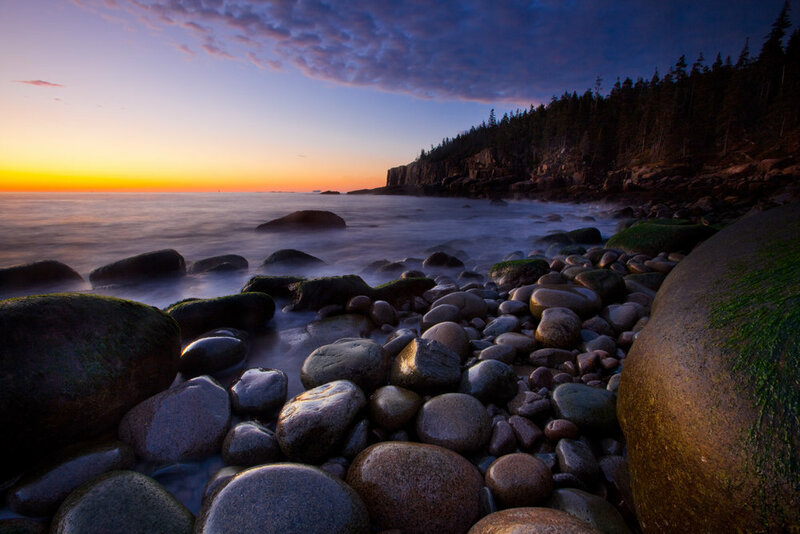 By using a graduated neutral density filter, you can obtain the perfect exposure for both. No filter was used in the first picture, and the sky is washed out with no detail near where it meets the water. In the second picture, a two-stop graduated neutral density filter was used to bring down the brightness of the sky and some of the water. The picture above was taken without any filters. The foreground rocks look fine, but the sky is overexposed. This picture was taken using a graduated neutral density filter that covers the sky. Note how the sky now has no blown out highlights. By sliding the filter up or down, you can position the darkest part over the sky and bring the brightness levels down to match the brightness of the bottom half of the picture. Neutral destiny refers to it the fact that it doesn’t add any color tint (it’s neutral) to the sky, just density (darkness). In the 1980’s, it was all the rage to have filters that added a tint– like blue to add color to a dull sky, or ‘tobacco’ which acted as a fake ‘sunset’ filter. Personally, I prefer the natural look from my neutral filters.